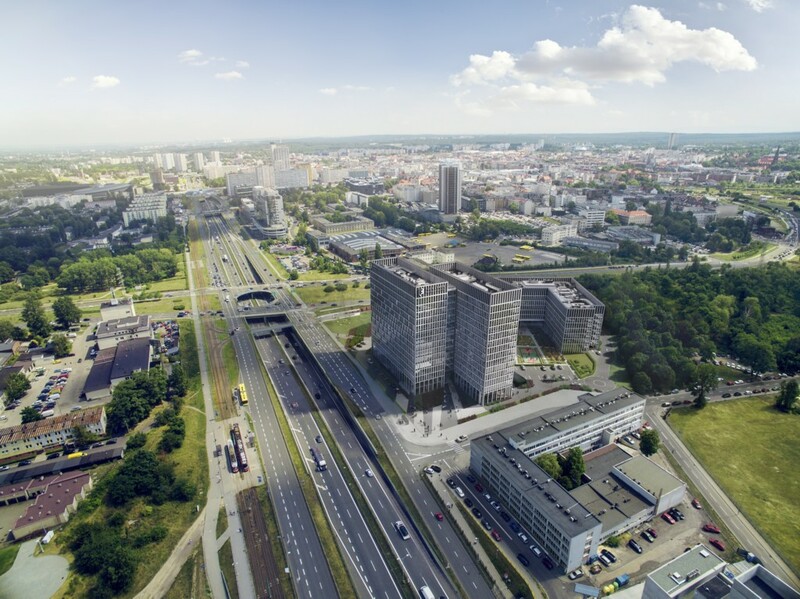 A place for meetings, exchanging ideas and cooperation – this is Echo Investment’s new project on the office map of Katowice. 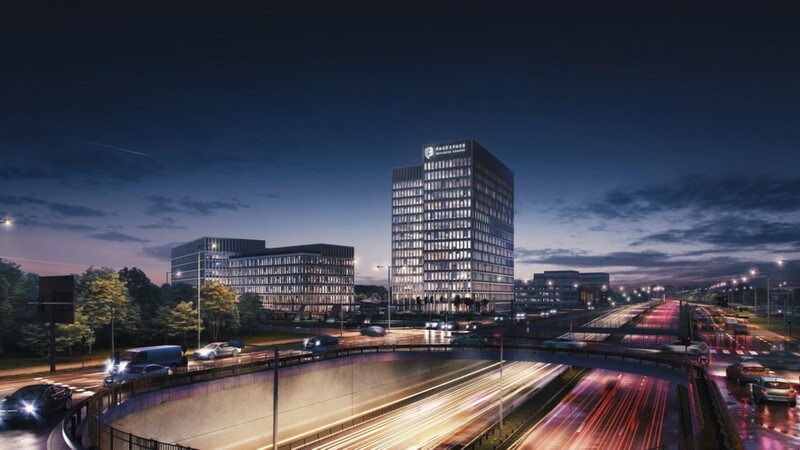 The developer has started its second office scheme in the city. It is called Face 2 Face Business Campus. According to Echo, the Face 2 Face project will open a new era of work style in the heart of Silesia and it is an ambassador of direct relations among people. The name of the building refers to the idea. First of all, it reflects its architectural assumptions. Two buildings, a seven-storey one and a fifteen-storey dominant, are literally located face to face. However, the full justification of the name is deeper. Next to two buildings with nearly 46 000 sq. meters of office space there will be a green patio, internal squares open also to residents of Katowice, leisure zones and co-working areas. This is where tenants will be able to relax while playing basketball or heaving a breather in a hammock. The Face 2 Face campus is to encourage meetings and spending free time closer to people. It will be the office complex in the city offering such a wide range of additional amenities around buildings. 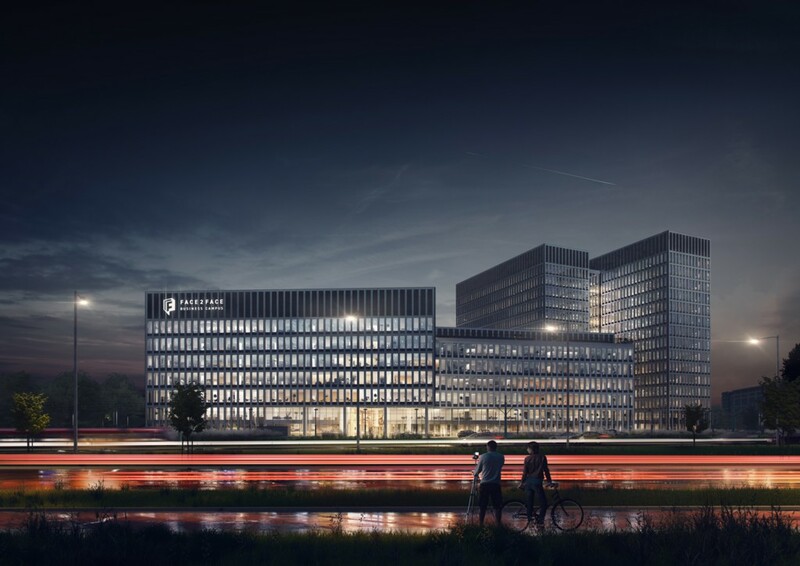 „Face2Face Business Campus is Echo Investment’s next office project in Katowice, the former one being A4 Business Park. 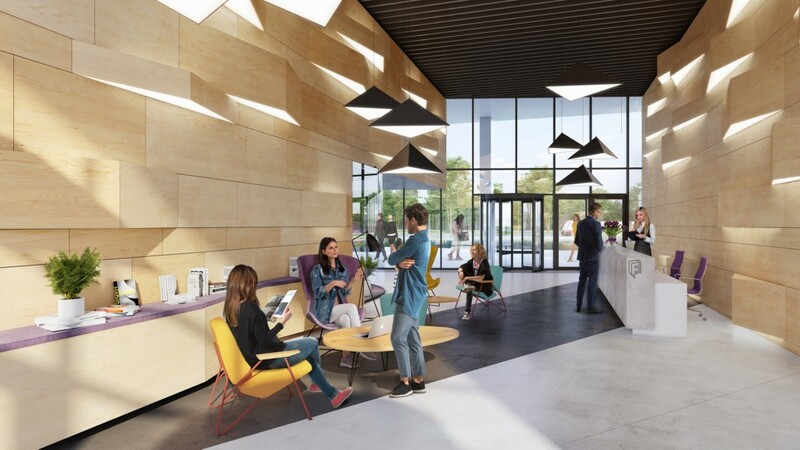 We create comfortable workplaces addressing the needs of business people but we want something more at the same time – to create a community around this place, which will be connected by relationships rather than just work. Hence, so many ideas for arranging common spaces. In Katowice we will promote openness, encourage shortening the distance and recognizing the advantages of establishing lasting relationships” – says Joanna Nicińska, a regional director in Echo Investment’s Office Department. 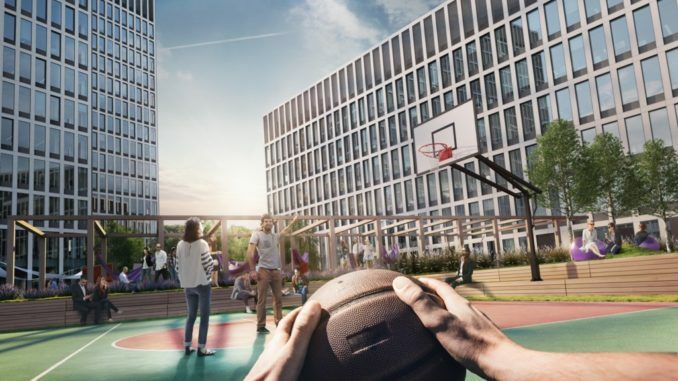 The project is being built at the junction of Chorzowska and Grundmanna streets, close to the center of the city. This part of the city has good transport links and there is an extensive public transport network nearby, so the journey to the city centre should take only a few minutes. The developer wants the place where so many people will be working to grow in a sustainable way and be environmentally friendly as well. 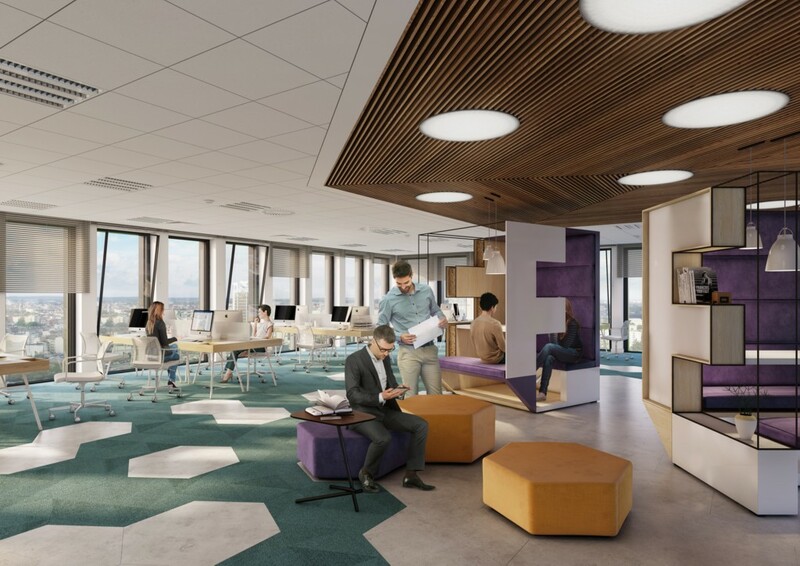 „The offices will be equipped with a range of eco solutions, including energy-efficient air-conditioning and ventilation systems as well as friendly LED lighting conducive to work. Electric car charging stations and parking spaces for bicycles will be built in the complex. 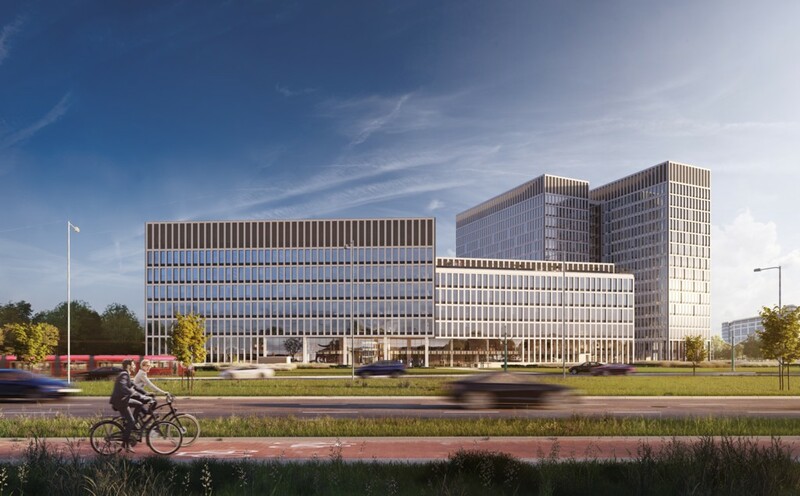 People coming to work by bicycle will be able to use lockers and showers. Green spaces, which will be key elements of the common squares, will be the icing on the cake. 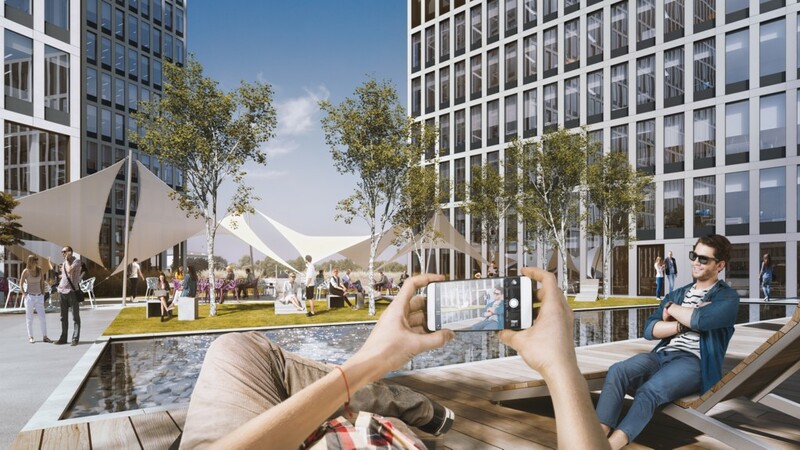 We will provide the city with a place that will be the ‘green lungs’ of this part of Katowice” – says Piotr Kozłowski, the head of the team of architects in Echo Investment’s Office Department. The architecture project of the office complex was prepared by Grupa 5 Architekci from Warsaw. The company invited to cooperation Biuro Projektowe Małeccy from Katowice, which helped to create the design of common spaces inside the building as well as leasure and public spaces around the complex. A construction work was already started in May. The lower, 7-storey building (20 624 sq. meters) will be erected in the first phase and will be delivered in the turn of third and fourth quarter of 2019. The 15-storey building (26 142 sq. meters) is expected to be built in the second phase and to be finished in the middle of 2021. There will be 765 parking spaces, majority of the will be located in a two-storey underground car park. Echo expects to obtain a BREEAM certificate with Excellent rating for the buildings.